At times of world economic crisis Wirtland wants to offer useful economic instruments to citizens, addressing the problem of personal savings' safety. It is central in most countries today, when the future of national currencies - even those which used to be the most stable yesterday - is unclear and shaky. There are just a few options how to preserve savings, and even fewer in case your sum is not very large. One of logical solutions is purchasing gold. It's not surprising that, according to Reuters, "Mints around the world say demand for gold coins has risen sharply as interest in the precious metal soars on the back of financial instability and concerns over the inflation outlook... The chairman of the French Mint, Christophe Beaux, said sales roughly doubled last year in value terms and are expected to rise by another 50 percent this year. The 2009 catalog the mint had produced was almost entirely pre-sold, he said." Wirtland found an interesting solution within the limited choice of options it possesses being an unrecognized cybercountry. 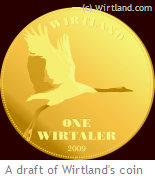 Wirtland plans to mint its own gold coin. The quality and weight of gold will be guaranteed, so the new coin will meet the demands of people, who will be able to use it as an investment tool. Formally, Wirtland's coin will have status similar to collectible or commemorative coins and medals. Wirtland has an agreement with a private producer of such objects, who is ready to mint the coins according to Wirtland's design and requirements, and sell them online. Wirtland opened contests for the best design and name of the coin, and a poll to define optimal weight/price of the coin. Once the price is established, Wirtland will start accepting advance orders for the new coin. 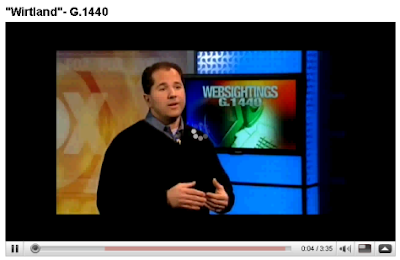 The situation with "vanished" FOX News video is now resolved. The Fox News program has become finally available for everybody to watch (link). Let's watch the video with interesting comments by Larry Fiorino, balanced by emotional reaction of Fox' Patrice Harris. Wirtland has received a letter from Tim Kassouf, Manager at G.1440. He says that Fox News video on Wirtland has now been re-posted, and apologized for inconvenience caused by its deletion. This deletion happened just minutes after the video was featured in Wirtland's news. A strange coincidence... In result, people who wanted to watch the video saw nothing but an error message. The Fox News video that vanished: War against Wirtland? 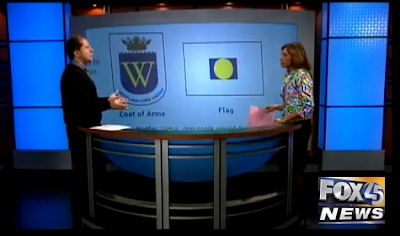 On January 20, in Baltimore (Maryland, USA) a program about Wirtland was broadcasted by Fox 45 Morning News. It was an interview with Larry Fiorino, who also wrote an article in Baltimore's newspaper "Wanna get away? 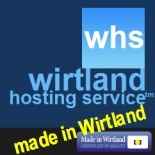 Try a virtual trip to Wirtland". Both in the interview and the article the author gave an objective and positive view on the concept of the first country in cyberspace. We did not know about the television program on Fox News until recently, when we found the video on YouTube during a routine media monitoring. 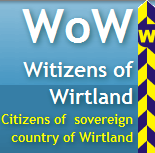 Naturally, we wanted to share this television program with all citizens of Wirtland, so today the link to videofile has been posted to Witizens Network, and to our Facebook and LinkedIn groups. Good news, isn't it? So far so good. Strange things happened immediately after that. The video became unavailable. Attempts to watch it from our site, or directly from YouTube, result in error message "This video has been removed by the user". Now, that's a pity! It was an excellent interview. What happened to it, and why was it removed immediately after being featured in our news? A little investigation reveals that the video was posted by user G1440Marketing 6 days ago, along with several other Larry Fiorino's programs on various IT issues, all of them from Fox 45 News. All those videos have vanished as well, and it seems that account was closed several minutes after we published information in Wirtland's media. The reason of this is unknown, but the speed of this action is very impressive indeed... Especially, given the fact it was very early morning in the USA. It appeared as if someone wanted to effectively stop the first English-language television program on Wirtland from spreading. Obama against Wirtland? But why? Wirtland will contact Fox News and ask for the original video recording of the mysteriously vanished show.